Metro’s Community Education team will be hosting several pop-up safety events at some of our busiest stations throughout the month of June. Stop by one of our tables to say hello to our team and receive important safety information! 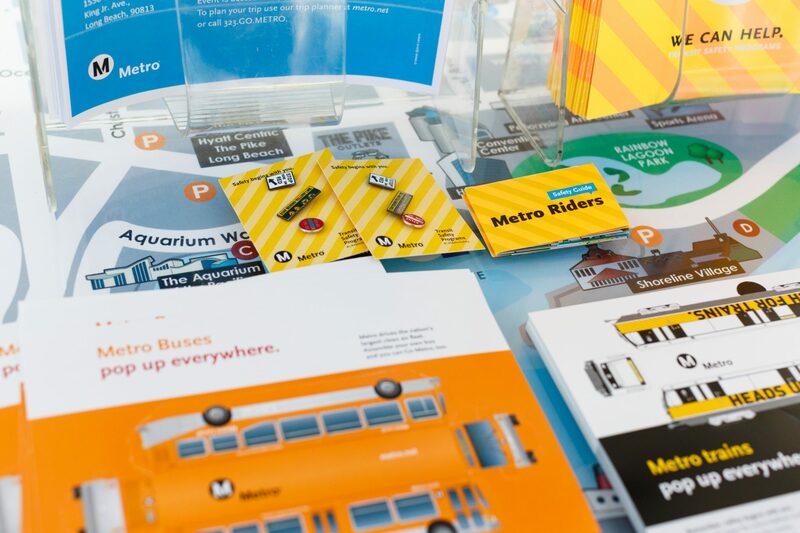 June 1: Union Station East Portal from 7 to 9 a.m.
June 5: Purple Line Wilshire/Western Station from 7 to 9 a.m.
June 8: Blue Line Downtown Long Beach Station from 11 a.m. to 1 p.m.
June 11: Expo Line Expo Park/USC Station from 4 to 6 p.m.
June 14: Blue/Green Line Willowbrook/Rosa Parks Station from 11 a.m. to 1 p.m.
June 19: Gold Line Indiana Station from 4 to 6 p.m.
June 23: Red/Orange Line North Hollywood Station from 11 a.m. to 1 p.m.
June 26: Gold Line Del Mar Station from 4 to 6 p.m.
June 29: Union Station 11 a.m. to 1 p.m.